So, if you are looking to make some extra cash while you are posting on the internet, this service could be of enormous value to you. A URL Shortening Service or Website application allows its users to shorten long URL's. For example, Here is a link from CNN about Apple Airpods going on sale for the holiday;http://money.cnn.com/2016/12/13/technology/apple-airpods-on-sale/index.html. The end result after using a Shortener Service, "Shorte.st" would look similar to this; http://viid.me/qruk7Sm. You can post shortened URLs on your blog or website, social networking platforms such as Facebook, Twitter, Google+ or any other social media channels. When your shortened URLs are clicked you will be paid a percentage of money to you affiliate account. After your link is clicked on the viewer will be shown a 5 to 10 second ad, which they can choose to skip, then they will automatically be transfered to your content. This is truly one of the simplest ways to earn money online. So, what are you waiting for? Pick any, or several, of the URL Shorteners from our list below and start making money from the comfort of your own home. It sounds to good to be true, right? "Just make a few shortened links, copy and paste them to some sites and you get rich." Your assumption is correct. Like any other idea to generate real income you need a well thought out plan and strategy to be successful. Paste your URL's next above or below, images in your social media posts. Make a YouTube account and use your shortened links to link to services, products or websites related to your channel. Add the links to your blog or website to link to content in your posts, product reviews, or content related to your niche of choice. Use your Shortened URL's wisely. Do not overly post them. For instance, if your content views are serious minded thinkers you might a only want use a few links, or none at all. Most of the people on the internet are accostume to viewing ads before they view content, for example YouTube, but be cautious in your usage of shortened URL's, because you could be labeled as spam by user and search engines. Shorte.st is a, fairly, new URL Shortening service that offers many creative ideas & techniques for earning money. If you have WordPress blog, then you can also use their WordPress Plugin, which will surely help you boost your earnings. They pay members in the range of $5 to $16 per 1000 views for promoting their shortened URL's. and the minimum payout is only $5. All member payments (earning amount) are sent automatically on the 10th of each month to your Paypal or Payoneer account. Shorte.st is currently the best URL Shortener, based on user earning rates, reputation, referral program, and their affiliate member tools, these are just a few reasons why they are listed as #1 on our 2017 review list. Click here to register a Shorte.st account! Adf.ly is one of the oldest, but trusted, URL Shortener company's to date. They pay their affiliate members competing rates and on time, as scheduled. You can earn between $5 to $12 per 1000 views by promoting the URL's you shortened using their, online, URL generator application. Adf.ly pays once a month and has a minimum payout of $5. They also offer a very affordable publisher advertising service that allows you to choose several options to promote your website or blog. I'm talking about pennies per website or banner view! You can't beat it! You can also choose your targeted traffic country(s), and I'll say it again, "The rates are unbelievable!" In summary, Adf.ly it is an older, trusted, company with a very popular reputation for taking great care of their customers. If you are looking for a URL Shortener that has been proven over and over again, register with Adf.ly now, and join the millions of other people and business's enjoying the results of a successful and pioneering company. Linkbucks is a URL Shortener company that has already paid more than $1.2 million USD to its' affiliate users. They are another, well-known, legal, and trusted URL Shortener service and are the number one competitor of Adf.ly. They pay their affiliate members around $5 to $7 per 1000 views, this rate may differ from country to country and during seasonal promotions. Linkbucks is one of the industries best and leading URL Shorteners, they also offer advertising to their members that can help your blog, website, and links get the right traffic for your specific marketing, niche. LinkShrink is another great URL Shortener option. It is one of the best-trusted URL shortener services available that let's you earn money by shortening your long URLs. You can earn between $3 to $6 per 1000 views on your shortened URL's. This rate may vary from country to country and seasonal marketing campaigns. One of the best incentives offered to linkShrink affiliate's is that you can earn a 25% commission per new user referral earnings. Minimum payout is $5. Join LinkShrink now, shorten your URL's and share them on your: blog, social media sites, forums, and Facebook accounts to start earning cash. Bc.vc is a well known, modern, URL shortener service, that you can join as affiliate, and start making money online immediately. Affiliate's can earn between $4 to $10 per 1000 visits on Shortened URL's. Bc.vc also offers its members an additional way to generate more revenue using their referral system. You can earn a 10% reoccurring commission on each per new user you get to join. Another huge asset that bc.vc offers is a provided software platform that members can use to check their shortened URL statistics, in Real-Time. They have set the minimum payout of $10. Sign-up and start earning money today. 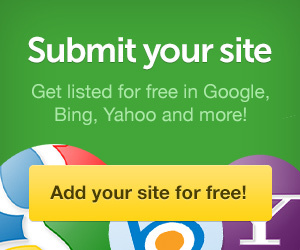 Blv.me is a highly trusted URL shortening service, which uses the CPA model to pay its publishers. They pay their affiliate members around $1-$12 per 1000 views. Aside from offering a URL shortener service, they also have a link locker service that you can use to lock your content, files, software, webpage etc. This is how it works, every visitor that wants to see or access your locked content has to complete an offer in order to gain access of the locked content, in turn, you get paid. If you are interested there is a demo link on the homepage of their site. 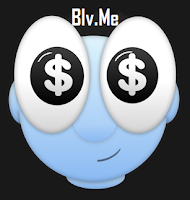 Blv.me has a minimum payout of $10. One of the down sides of their service is the low 5% commission from referrals, which is very low in comparison to other URL shortener companies. Click here to join Blv.me! Al.ly is another reputable URL shortener website that offers you the opportunity to make money online without any investment. They will pay you between 1$-10$ per 1000 clicks. Some rates depend upon the traffic to your URL's region or country. They have 2 different account subscriptions including basic, its free, and premium, which offers advanced features. Al.ly also has a referral system with 20% commission rate. So, if you refer anyone to Al.ly then you will also get extra 20% of their earnings without doing any extra work. 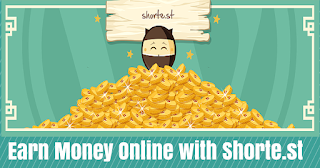 There you have it, The Top 7 Highest Paying URL Shortener Websites to earn money online. If you have a plan already, "What are you waiting for?" Just join any URL Shortener and starting making money from home. Also, don’t forget to share your views and comments.